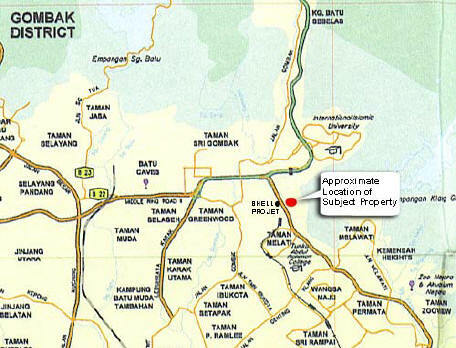 The subject property is located off the Middle Ring Road 2 opposite the Shell / Projet petrol station in Taman Melati. It is the 2nd lot form the highway but has a legal access. Owner claimed it is zoned housing.